I often lament that I can’t read fast enough despite enjoying a good book be it non-fiction or a good old fashioned story from someone’s imagination. Generally I rotate my selections between some sort of adventure novel like a Jack Reacher tale or a Clive Cussler archaeological mystery or even some new author’s take on Sherlock Holmes with a history book on the movies. Usually a biography on some star from yesteryear. Which brings us to three titles I’ve cleared off of my reading list since late last year. A recent book on the lovely Olivia de Havilland, another on the iconic Bela Lugosi and an 80’s release on the life of comedy king Lou Costello. 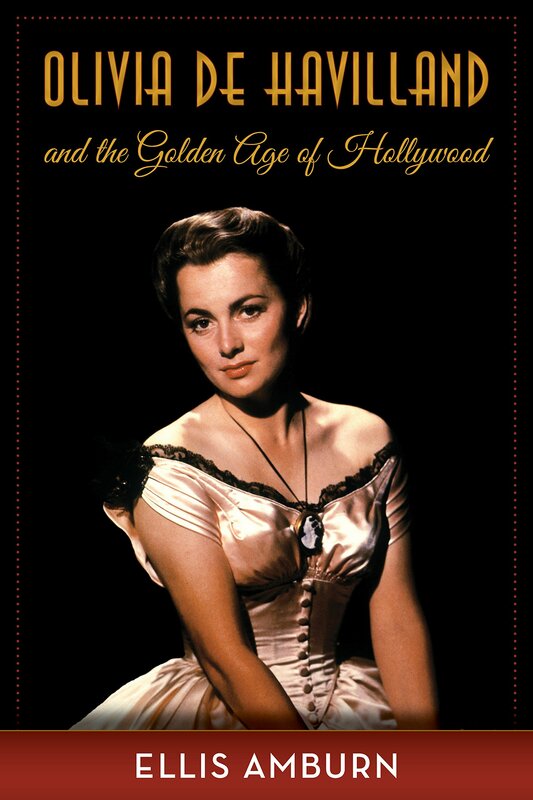 When it comes to Olivia de Havilland I should mention that I’ve had a crush on her since seeing Robin Hood and The Strawberry Blonde as a youngster and this book from Ellis Amburn did nothing to dissuade my admiration for this legend of classic cinema who is course still with us today at a spry 102 years of age. Well researched by the author, the book takes us from her early years and rise to fame under Jack Warner’s watch at Warner Brothers where she became saddled with less than challenging roles far to often. (That doesn’t mean I don’t enjoy these lesser films on her scoreboard) The battles with Jack Warner, the supreme court ruling, the ups and downs of her relationship with sister Joan Fontaine and the men who came and went in her life. Among them John Huston who gets a fair bit of coverage coupled with two marriages. All the costars from her films are in here so you’ll read up on Bette Davis, Monty Clift and Ralph Richardson in the magnificent The Heiress, Alan Ladd, Jimmy Cagney and of course Errol Flynn. Plenty of direct quotes from Olivia add to the authenticity of the book making it a great read for fans of the golden era. The story brings us right up to today and the recent press she received for her distaste concerning how she was portrayed in the cable show, The Feud, about the ongoing war between Bette Davis and Joan Crawford. Easy read if you love the real life characters on the written page. In truth this book released in 2003 has been rewritten and brought up to date with new biographical data and information since it’s initial release back in 1974 when it was simply known as The Count. I had read that early version many years ago when signing it out at the local library. Honestly I can’t recall much from the early book other than a picture of Bela on stage as Jesus Christ so this was like a new discovery even if I have retained much of Bela’s story through news articles and other books I’ve read about him since I was old enough to enjoy a good scare. There’s little doubt when reading this volume on Bela from author Lennig that he’s a fan. 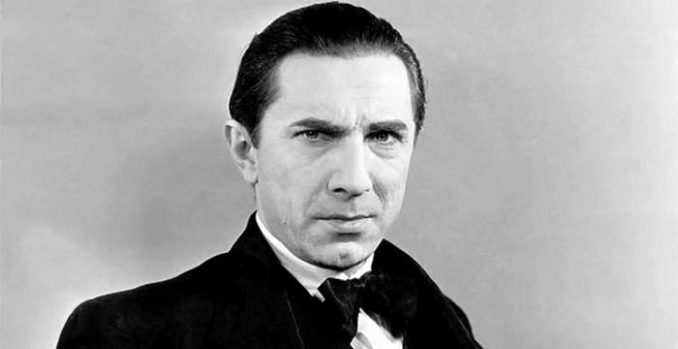 While that may be a good thing he can also be accused of being over opinionated and I believe unfair to others who have either written about Bela or those that supposedly competed with him for roles. Namely Boris Karloff. 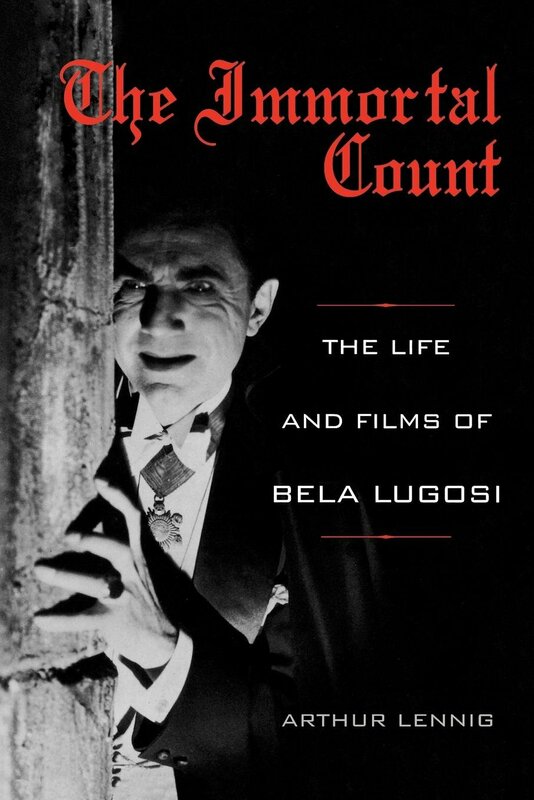 Still there’s plenty of biographical details in here about Bela’s rise to prominence and his penchant for sometimes stretching the truth about his time on the stage overseas before journeying to America and finding everlasting fame on the screen as Dracula. On the plus side I enjoyed the fact that the author knew and idolized Bela as a young boy seeing him perform Dracula on stage and even having the actor come to meet his parents at his childhood home. Seriously! What fan of classic horror fans wouldn’t fantasize about an opportunity like that. Perhaps that’s why I find Lennig so defensive of Bela at various times in the book. Can’t fault him for that I guess as I’ve been defending my movie and musical heroes for years. This volume takes us right up to the post Ed Wood movie era from Tim Burton featuring Martin Landau’s Oscar winning turn as Bela and has some strong statements to make concerning Bela’s legacy and how it’s been handled by Bela Lugosi Jr. That came as somewhat of a surprise to me if what I’m reading is an accurate account of events. A must have for us fans and though Mr. Lennig might not like it I still claim that the best volume I’ve read on Bela is from Gregory William Mank. 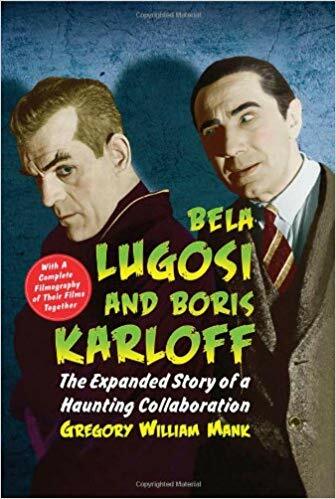 Karloff and Lugosi, The Story of a Haunting Collaboration. A book that also has been released twice with the second being an expanded volume. As a matter of fact it’s probably my favorite book concerning any facet of classic Hollywood and I’ve read a few. 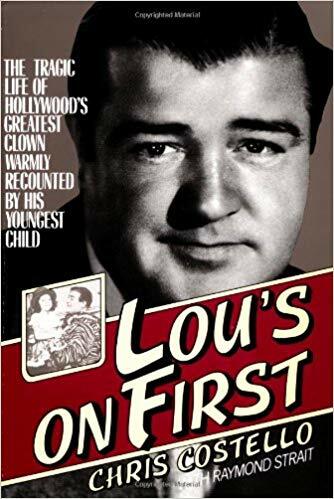 Released in 1982, Lou’s youngest daughter Chris penned this warmhearted look at her father, the man who made millions laugh at a time when the world was perhaps needing him the most. 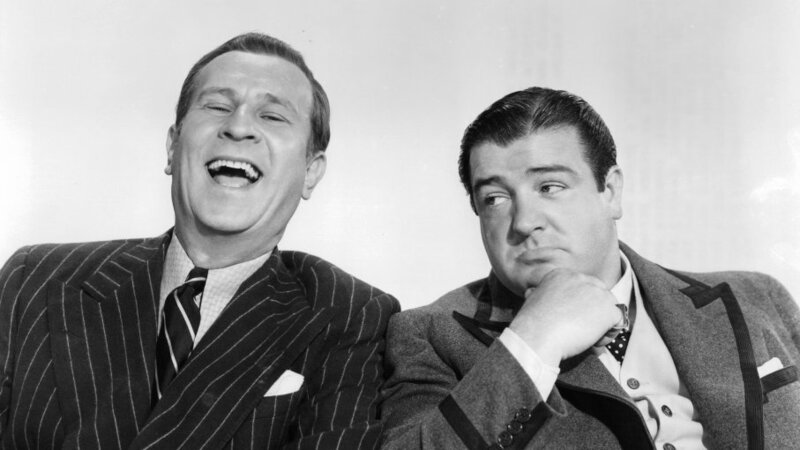 During the second world war along with his partner Bud Abbott. The book takes us from Lou’s early years in burlesque and the magical give and take he found with Abbott on stage culminating with the classic Who’s On First routine and ultimately on movie screens from 1940 thru to 1956 as box office champions for Universal Studios. The book serves as a window to the past featuring not only movies and burlesque but radio as well. It’s well put together with plenty of guest comments from family and fellow actors who knew the boys when they were at the top of their game. George Raft and The Andrew Sisters among them. It’s not just about Lou himself but about his wife and children making it more than a cliched by the numbers bio. Not having read much on Bud and Lou despite seeing every one of their film’s together I learned much about the bighearted comedian. His strong family ties and helping hand to those less fortunate than him. The gambling, the racehorses and his arms length relationship with Bud off camera comes as a bit of a surprise reading about it first hand though I’d heard rumors and read snippets about their troubles before. Tragic? Yes and the chapter that details the loss of Lou’s only son is a heartbreaker so keep the tissue handy if you do find a copy of this worthwhile book. I was actually reading that chapter in a breakfast spot I frequent before heading into the office and had to do my utmost best not to break down and ball in front of the waitress. A fine addition to the bookshelf and one I can easily recommend to those who love the comedy team of Bud and Lou and if you haven’t given them a fair shake, then give them another look and turn the clock back to have a good laugh minus the trash talking and foul language that pollutes much of today’s comedy. 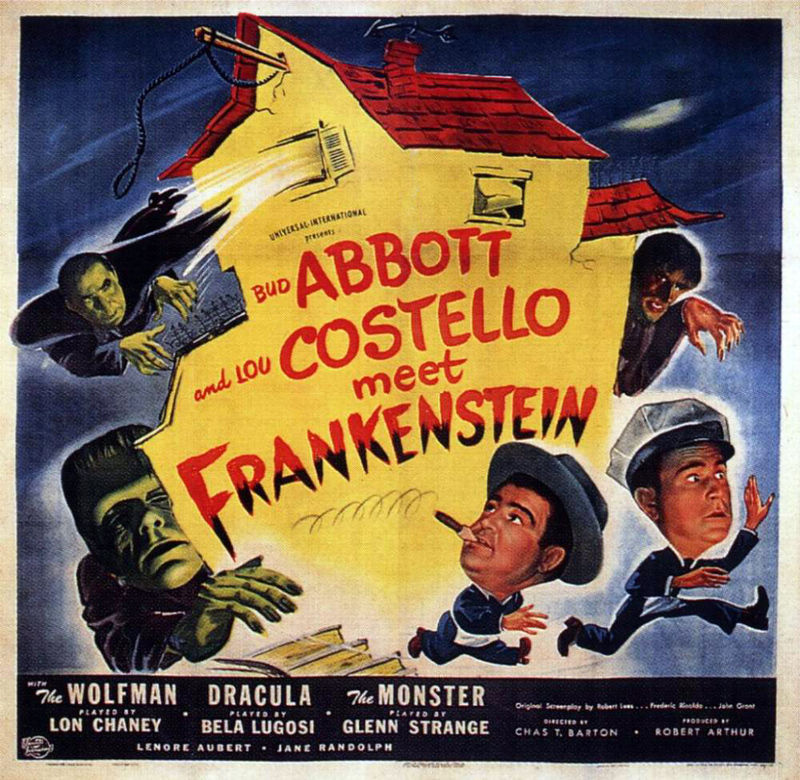 Might I suggest the obvious, Abbott and Costello Meet Frankenstein. For my money the greatest horror/comedy of them all. I haven’t read any of these, but based on what you’ve written, and I could only pick one, I think I’d go with the Olivia biography. Did you have a favorite of the three? Good choice but of the three I found the Costello book the warmest thanks to his daughter’s honesty and recollections of growing up with the funny man.